One of the worst droughts in a century, compounded by high food prices and unremitting political strife, is spawning an immense humanitarian crisis on the Horn of Africa. Thousands of Somalis are fleeing their homeland each week; most of those who survive the brutal journey end up in refugee camps in neighboring Kenya. Aid agencies are calling it the worst drought in 60 years. Although centered on Somalia, which lacks a functioning government and suffers from constant battles with Islamic rebels, the crisis has also affected people in Djibouti, Ethiopia, Kenya, and Uganda. Reports suggest parts of Somalia may already be on the verge of famine, a repeat of the emergency situation two decades ago. Resources are woefully inadequate. 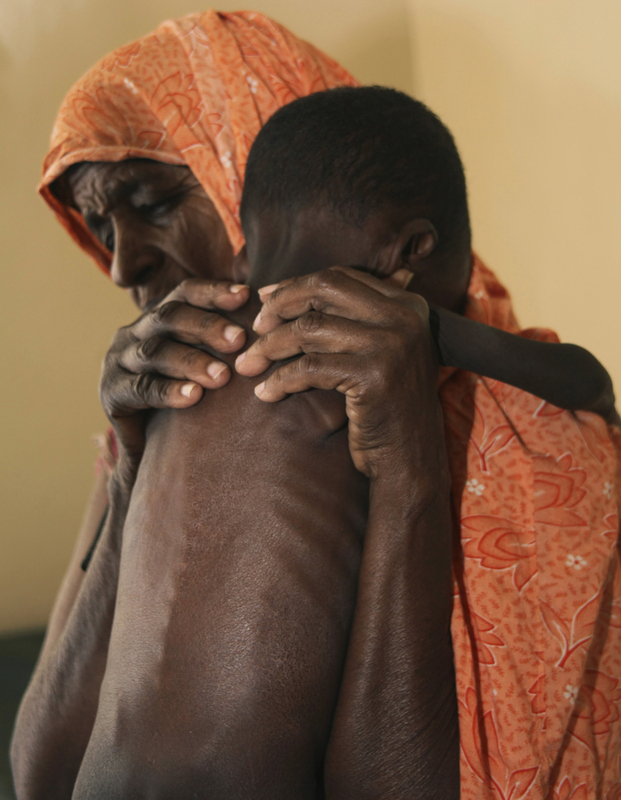 “Desperate hunger is looming across the Horn of Africa and threatening the lives of millions who are struggling to survive in the face of rising food prices and conflict,” World Food Programme executive director Josette Sheeran said in a release. You can see the rest of the pictures which are very hard to bear here. Please pray. And help if and where you can. It is situations like this, that remind me again, that we live and die in a broken, sinful world and age! Human life is sadly deformed & contorted! Lord have mercy!